Dr. Walter A. Dorn is a scientist, educator, author and researcher. Dorn teaches military officers and civilian students at the Canadian Forces College in Toronto and also at the Royal Military College of Canada of Canada in Kingston. 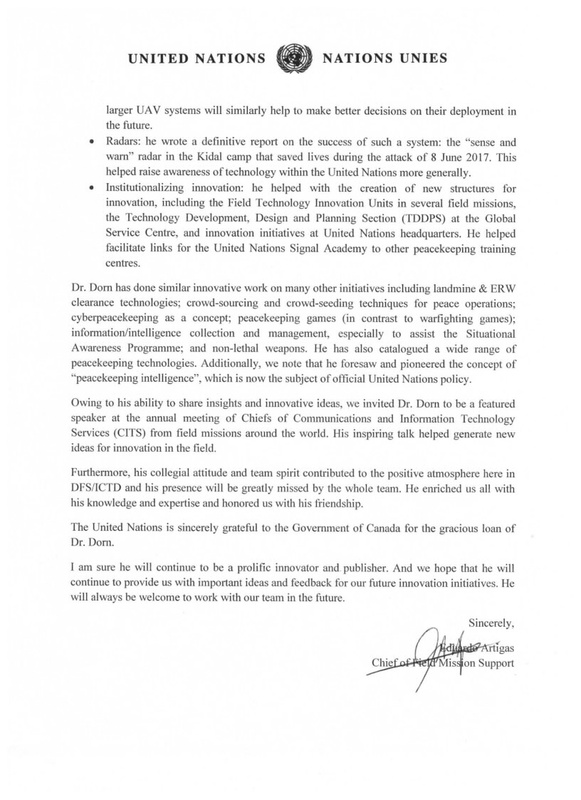 Following is a Letter of Commendation from the UN Department of Field Support thanking Canada for supporting the deployment of Dr. Walter Dorn, a DND civilian employee, who was funded by PSOPs Civilian Deployments Platform for a short-term assignment working as an advisor on technology in peacekeeping. 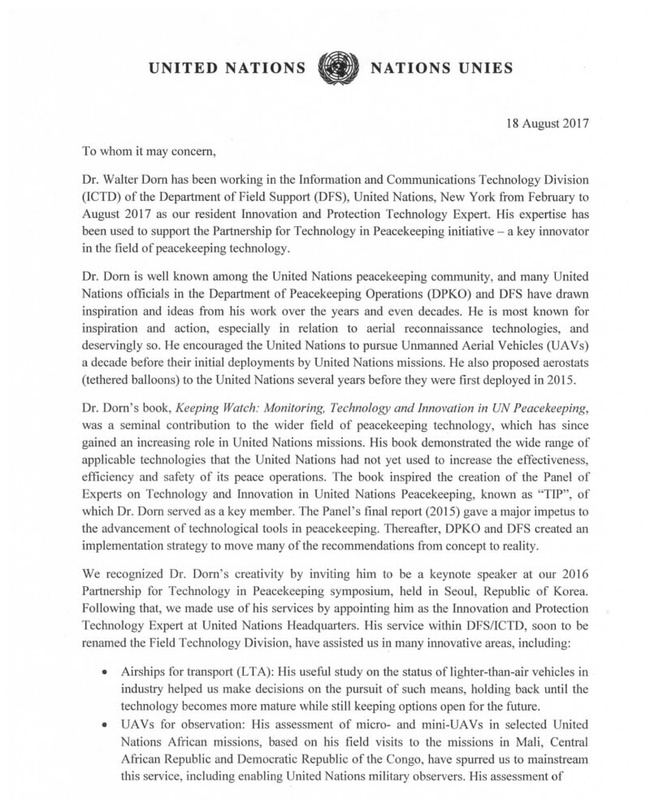 The letter describes the work completed and the types of technology that have been recommended to improve peacekeeping operations. 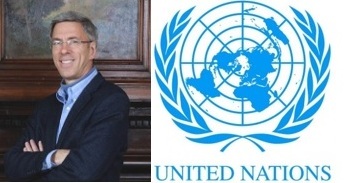 Dr. Dorn also was invited to present to MND last week on Thursday afternoon to give the Minister of Defence (MND) a sense of the UN’s progress on peacekeeping tech and offer some ideas for Canadian contributions and for the Vancouver Ministerial on UN Peacekeeping.